There are two things you should consider doing before you decide to get rid of it. I’ve done this on two amps, and have ended up keeping them both. Let’s state the obvious: An amp’s speaker produces the sound, but it is amazing how many people I’ve come across who don’t look at replacing this vital component first when they’re not happy with their tone. 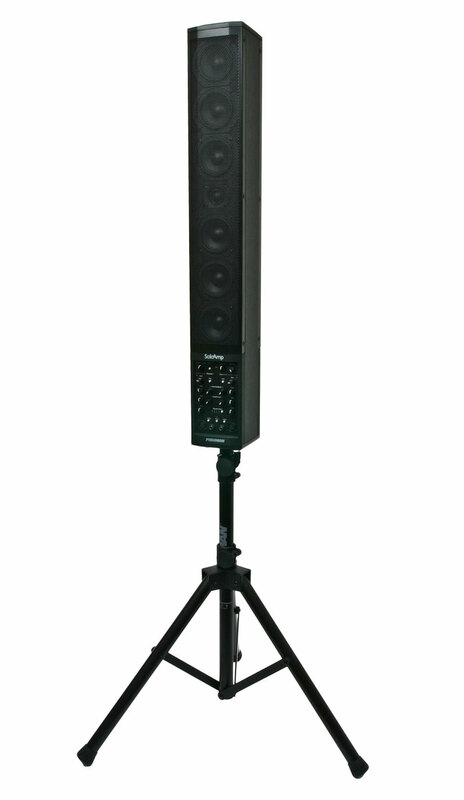 I know, evaluating speakers is tough, and a lot of the time, you can only rely on people’s words and frequency response charts. I actually find frequency response charts useful in making a decision on a new speaker. 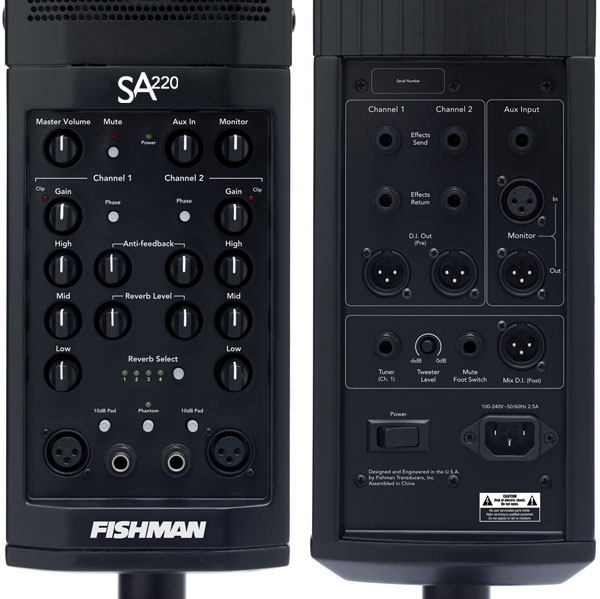 If I want more mid-range and presence, I’ll look at speakers whose frequency response charts are big in the mids and high-mids, with a much more smooth bass response curve, like the Jensen P12N. 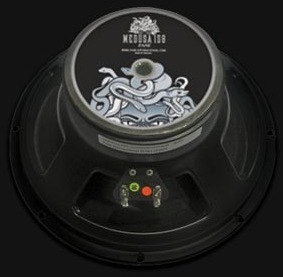 If I’m looking for more bottom end, and a slightly scooped tone, I’ll look for a speaker that has those kinds of characteristics, such as the Fane Medusa 150. Of course, you have to hear the speakers in the end to decide if they work for you, but the frequency response chart is a good place to start. I’m a NOS tube fanatic. To me, there’s nothing like the build and tonal quality of a good NOS tube. The ones I’ve chosen tend to have a bit less gain than newer tubes, and they break up so much more smoothly. But that’s just me. I want a smoother overdrive tone, whereas someone else may want a harsher tone. To each their own on this. 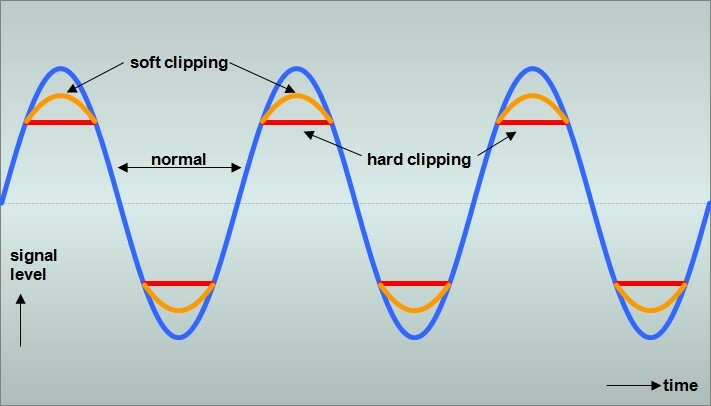 However, changing tubes – especially pre-amp tubes – can have a profound effect on your tone. Like speakers, you have to try several before you find ones that fit your tastes, but it’s worth it once you do. And note, with respect to tubes, you get the most bang for your buck by replacing the pre-amp tubes as opposed to the power tubes. I use JJ power tubes for practically all my amps, and you know what? I’ve never replaced any of them because I just haven’t seen that much tone improvement by replacing them. As I stated above, I saved two of my amps from the chopping block. Yeah, I had to spend a bit of money to save them, but save them I did. My most recent “save” experience was with my Aracom PLX18 BB. This amp is based upon the classic Marshall 18 Watt Plexi “Bluesbreaker.” When I first got it, I loved it, but one thing that I didn’t quite bond with was the fizz that the amp naturally produced. I really dug the mild distorted tone of the amp, but there was just something that wasn’t quite “right” when I’d crank the amp all the way. So the first thing I did to bleed off some of the highs was to replace the stock speaker. The Red Coat Red Fang is a nice, bright speaker, but brand new, it’s pretty harsh, and I didn’t want spend a lot of time breaking it in. But even still, the amp was naturally bright, and with a bright speaker, I just didn’t feel it was a good fit. As luck would have it, I had another speaker on hand, a Fane Medusa 150. The thing about this speaker is that it has a real strong, tight bass response. Once I had it installed, I couldn’t believe my ears! It really balanced out the brightness of the amp, and curbed a lot of the fizz. But there was still some fizz left. Knowing that there were JJ’s in the pre-amps, which have a lot of gain, my thought was that they were throwing a lot of gain at the EL84 power tubes, which can get fizzy when driven hard. So I swapped them out for a set of NOS circa 1959 GE and RCA long plate 12AX7’s, which are oh-so-smooth and a have a bit less gain than the JJ’s. The result was simply magnificent! That clip was recorded with the Aracom PLX18 BB, and using my LP copy Prestige Heritage Elite. Sorry, I don’t have a “before” clip, but before I did those two simple modifications, the amp produced a ton of fizz that I just couldn’t connect with, even though I loved the dynamics when it was fully cranked. Now, I can crank that puppy up, and get those rich tones with no fizz. Summary: Reminiscent of John Mayall and the Bluesbreakers, the PLX18 BB is a tribute to the classic Marshall Plexi’s of yesteryear. Pros: Looking for classic EL84 classic rock/blues tone? Look no further. This amp has tons of mojo that’s just waiting to be tapped, with two independent channels and a subtle, tube-driven tremolo that’s to die for! Cons: Tiny nit, but the stock speaker – Eminence Red Coat Red Fang – is voiced way to brightly for this amp. For cleans, it’s great, but creates a bit of fizz when you’ve got it cranked. Tone Bone Score: 4.75 – If it weren’t for the speaker, this would get 5 Tone Bones, but I remedied that very easily by running it through either a Jensen P12N or a Red Coat “The Governor.” I dig that Governor speaker! It really brings out the best in that amp by taming the highs and adding a nice and smooth bottom end. When you live less than half an hour from a boutique amp maker, you get to try out lots of GREAT gear. It’s so convenient to drop by Jeff’s shop or have Jeff over. He’s someone I love spending time with because we both share a passion for vintage and vintage style gear (Jeff is a passionate Les Paul collector), and we spend lots of time just talking about different kinds of gear, and especially his approach to amp building. As of late, Jeff Aragaki and Aracom Amps have gained a lot of attention in the guitar world for his incredible PRX150-Pro attenuator. And while I love what that attenuator does (it really has made my home recording late at night so much more convenient), it was his amps I fell in love with, and to date, I have three of them, having added the PLX BB 18 to my growing collection of low-wattage amps. This amp is the elder statesman in the Aracom lineup, and while lots of attention has been paid to his latest VRX line, it was the PLX that gave Jeff his start. Unfortunately, because there are lots of classic Marshall Plexi 18 remakes on the market, the PLX BB 18 is probably his least known amp. That’s too bad because the tweaks Jeff made to the classic Marshall circuit has produced a very distinctive amp that has a mojo that’s almost visceral in its appeal. Based upon a pair of EL84 power tubes, and an EZ81 rectifier, the PLX produces a very three-dimensional tone that’s at once in your face, but also fills the space you’re playing; and mind you, this is at fairly low levels – maybe loud conversation levels – due to squelching the output volume with the PRX150-Pro. Strike a chord or bend a note, and you can feel the tone! It’s that way with my VRX amps as well. There’s something that Jeff has discovered in building his amps that make them ooze a certain mojo. Like all Aracom amps, the PLX18 BB is packed full of character. It’s amazing how it responds to volume knob changes and pick attack. But one thing that really strikes me about this amp is how smooth the distortion is when I crank the amp. When pushed hard, it has tons of gain and oodles of dynamics, but they’re very well-mannered. Notes are well-defined, and especially played with humbuckers, bloom nicely when you attack a string. F-in A! This clip features the stock Red Fang. I’m playing my Prestige Heritage Elite (an LP copy) for the lead with the Treble pickup engaged. This is a clip from a song I’m working on called “Strutter.” I normally don’t EQ my guitar parts, but I did bleed off some of the real high-frequencies to cut down on the natural fizz. This next song is called “Plexi Lullaby” because it reminded me of a lullaby. The base rhythm track was recorded on the tremolo channel with my Heritage, then I created a second rhythm track with my Strat. The Lead is also played with my Strat. You’ll notice that you really have to listen for the trem. The tube-driven trem is killer. It’s very subtle and oh so smooth! Almost forgot! The base rhythm track was played through the stock speaker, while the Strat parts were recorded through a P12N, and no EQ was applied to any of the parts. I really love the tone on the last clip. The cleans it produces just make me close my eyes and play; which is pretty much what I did when recording the lead part. Just hearing how the chords just rang was so inspiring! The amp the entire time was just on the edge of breakup – it’s so expressive! I just added a touch of room reverb in the mix, but the guitars were all recorded completely raw. I didn’t do any adjustments. 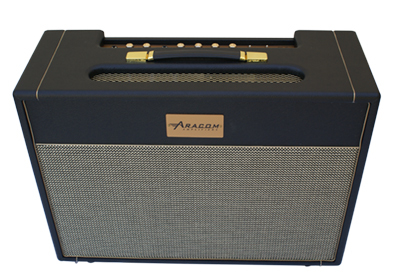 I know, I say this quite a bit about Aracom amps, but I LOVE THIS AMP! As you can hear from the clips, it has an abundance of character. Jeff has recommended a few times that I try some NOS tubes with it, as all the pre-amp and power tubes are all JJ’s. But I’ve resisted because it just sounds great with the stock tubes. As I told him, “I know, I’ve got some NOS tubes on hand, but there’s no reason to put them in there. It sounds great with the JJ’s.” I may eventually do that, but for now, I won’t replace the tubes until they start getting dull. The PLX18 BB yet another one hit out of the ballpark by the humble genius, Jeff Aragaki!